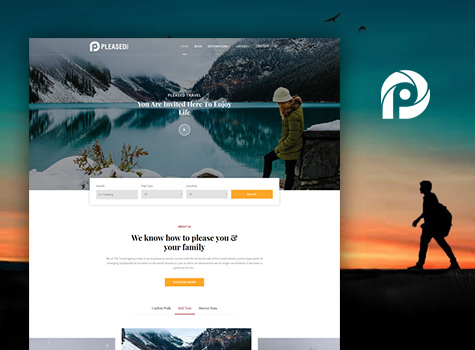 Pleased Pro is a mobile responsive and super customizable Travel WordPress theme. The theme is beautifully crafted, clean, easy to use, responsive, features different layouts with sidebar position and allows unlimited color selection. It has been designed for everybody with or without previous coding experience to effectively and helps to speedily put together polished, professional quality websites without having to so much as peek at a single line of code. Pleased Pro is compatible with WP Travel Plugin that provides travel engine to travel company. 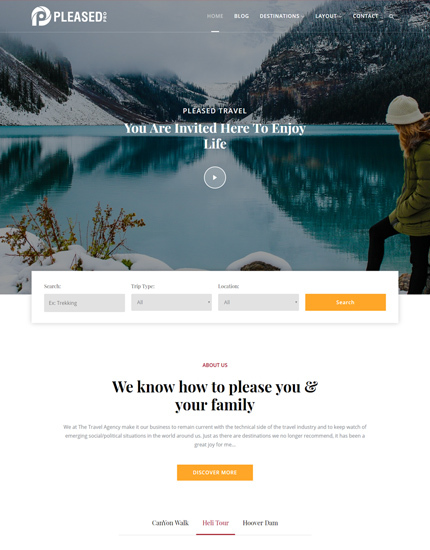 “WP Travel” plugin is the best choice for a Travel Agency, Tour Operator or Destination Management Company, wanting to manage packages more efficiently & increase sales. Please Pro is fully equipped with all the features provided by WP Travel plugin. 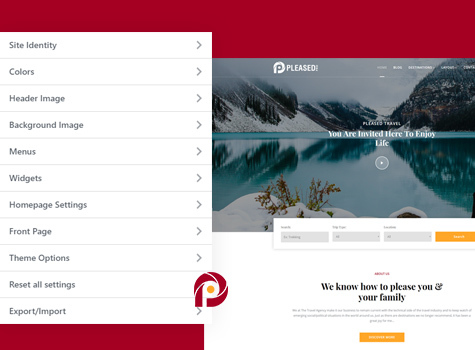 With compatibility with WP Travel plugin, Pleased Pro will enhance your travel site with powerful features. With a live customizer, Pleased Pro provides a hassle-free customization of your website. The Theme is highly customizable if you want to style it to match your brand or go with your marketing plan and is surprisingly attractive as well as very intuitive for inexperienced or veteran website designers alike that are seeking a solid, effective and time-saving kit that packs all the necessary tools, resources and features to craft gorgeous business or professional websites across a broad spectrum of applications and archetypes.You can easily craft gorgeous destination page and amaze your potential customers using built-in parallax background module without touching a single line of code. Pleased Pro is fully responsive and streams faultlessly when viewed on different devices. It is also retina ready and guaranteed to bring a pleasurable user experience for those viewing your site. It is optimized for search engines, increasing the likelihood that your content will show up on the first page of search results. Pleased Pro is made for speed, resulting in a website that is as fast, as it is beautiful. Both you and your visitors can rejoice, due to the optimized code that lives up to the high standards of the WordPress community. 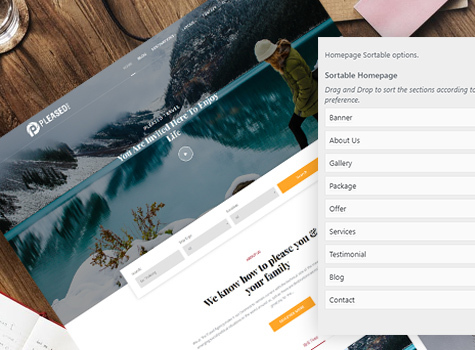 With Pleased Pro, you can sort all the homepage sections in your own order with a simple drag and drop. You can easily move sections up and down as per your business and brand requirement and build an extensive home page with various useful sections in it. It comes as no surprise that Pleased Pro’s features are catered towards the Travel industry. 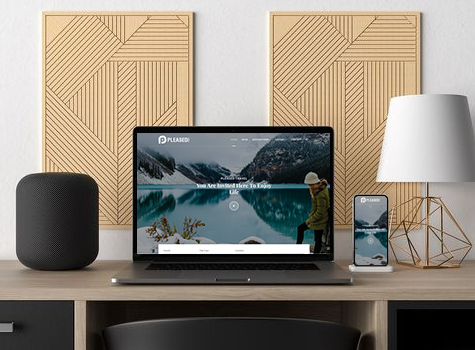 The page canvas has you fully equipped with just about everything a professional and successful travel website requires. It has a modern and enticing home page design to help you style your business. 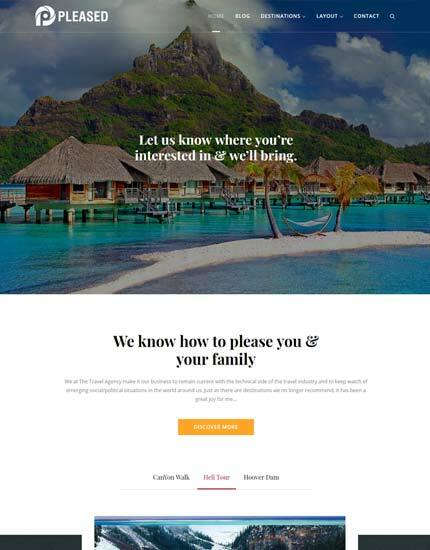 Although custom designed to suit the needs of travel agencies, tour operators and travel blog, it is well suited to any business thanks to its modern creative graphics.